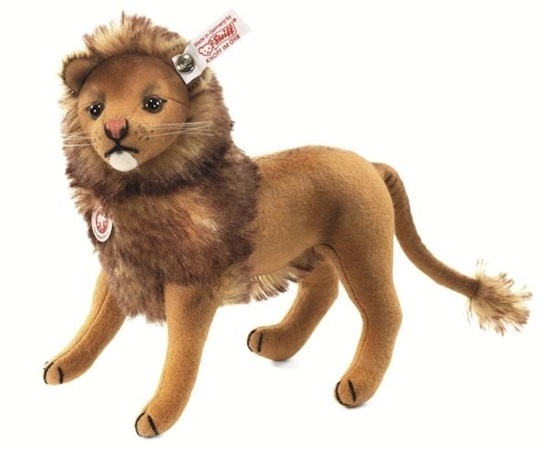 New in 2013 from Steiff's Spring Collection, we are pleased to share "Leo Lion", a 9-inch ight brown wool felt lion. He has a tipped mohair mane and tail along with a black emroidered muzzel and paw pads. This lion has airbrushed details on the orange embroidered eyes, bottom lip, face, and body. His head is jointed and his legs are wired so he can stand. Leo is surface washable. He is one of a limited edition of 1500 worldwide.